Our long term economic prosperity depends on our strength in building internal productivity and competitiveness. In this thought provoking event, Sir Roderick Eddington; Chairman of (Australia and New Zealand) J.P. Morgan and Lion analyses outcomes from the G20 Summit. Drawing from his leadership in advancing Australia's trade and economic interests through the APEC Business Advisory Council, Sir Roderick will present his views on Australia's role in the global economy. The Macquarie University Thought Leadership Series addresses financial, economic and political problems, creates a community of thought leaders who engage in intellectual debate around leadership and share Macquarie's knowledge through collaborating with industry experts. This innovative initiative by the Faculty of Business and Economics provides cutting edge thinking and ground-breaking ideas. 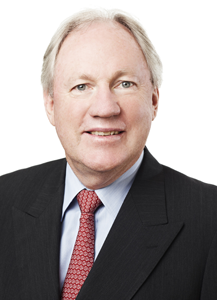 Rod Eddington is non-executive Chairman (Australia & New Zealand) of J.P. Morgan and non-executive Chairman of Lion. Educated as an engineer at the UWA and then Oxford University as WA's 1974 Rhodes Scholar, Sir Rod's career began in transport and aviation and he went on to become CEO of Cathay Pacific, Ansett Airlines and British Airways, before retiring in late 2005 and returning to Australia. In 2005, Sir Rod was awarded a Knighthood by the British Government for service to civil aviation, and in 2012 an Officer of the Order of Australia (AO) for service to business and commerce. In addition to maintaining non-executive directorships with 21st Century Fox, China Light & Power Holdings and John Swire & Sons, Sir Rod also serves as a member of the APEC Business Advisory Council (ABAC), Chairman of Victorian Major Events Company and President of the Australia Japan Business Cooperation Committee. Last Updated: 2015-04-01 10:50:41 by Peter Nolland.